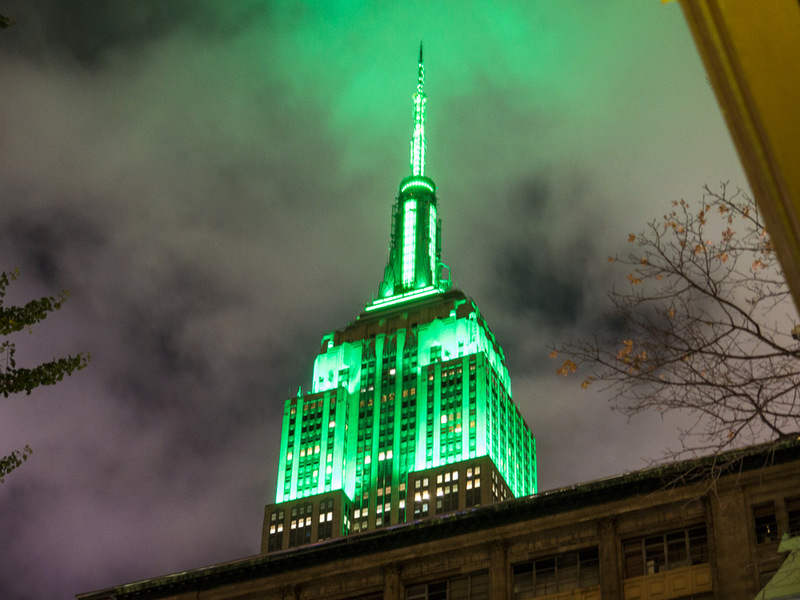 Having heard that the Empire State building would be lit up with green lights for the Thursday Night Football game, featuring the Buffalo Bills and the New Jersey Jets, she had to see for herself. And yes, sure enough, the lights were green. The lights should have been Blue and Red, the colors of the Buffalo Bills, which is the only football team that plays in New York State. She’s going to call the mayor to complain later this evening.